Complete an online interview containing 101 thought-provoking questions about your life. Our interview-based approach naturally prompts you to remember interesting events in your life, but you can also add your own questions to make sure nothing is missed. 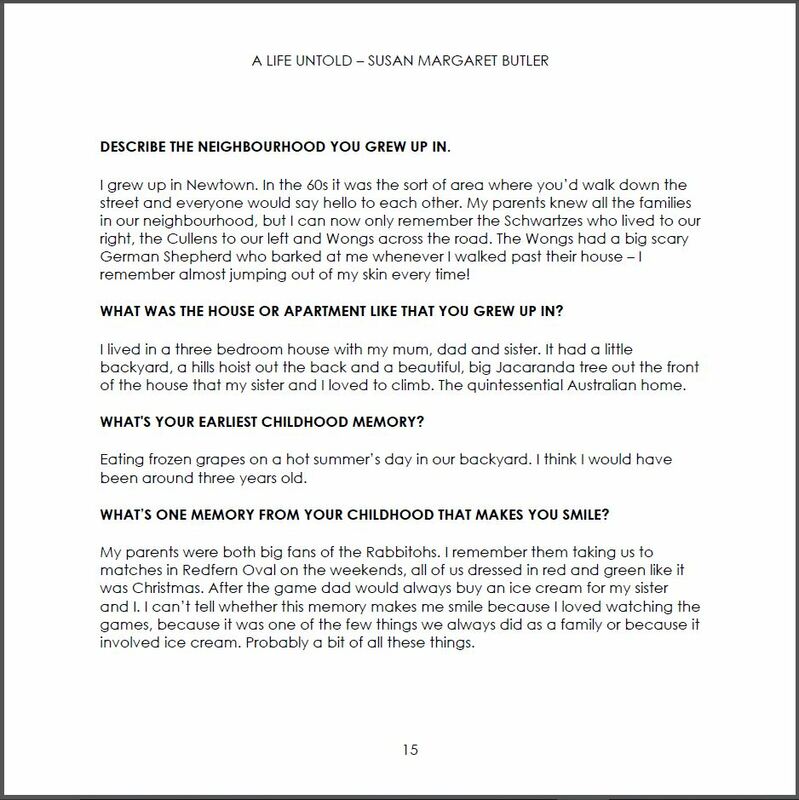 Once you’ve reached the end of our interview, we’ll put together a book that combines your questions, answers and photos to create your own unique and professionally designed hardcover autobiography. After you’ve approved the final draft of your book, we’ll send it off for printing and deliver it to your home. The first book is included for free when you sign up and there are no limits on the number of copies you can order. "Share your life's highs and lows, greatest lessons and words of advice." "A Life Untold makes preserving memories easy and allows anyone to leave a legacy gift to their family and loved ones." "An amazing gift your family will treasure forever." Buy now & start writing! Prefer to have your story ghostwritten? Take a look at our live interview package here. Why do you use a Q&A format? Autobiographies can be difficult to write and hard to read. Our Q&A interview solves both of these challenges. We make it easy to write because the interview questions naturally prompt you to remember - and write down - interesting events in your life. Not everyone feels like a confident writer but absolutely anyone can answer questions. Best of all, loved ones who read your story will feel like they're sitting down with you and having a wonderful conversation about your life. It's your story, told your way, in your own words. Will your questions capture everything I want to say? 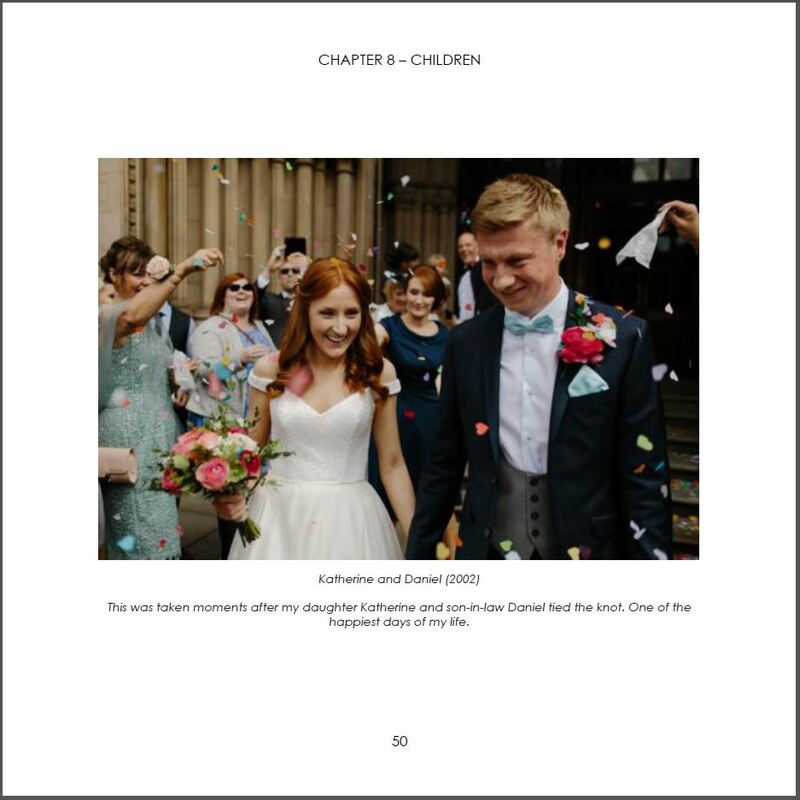 We cover a broad range of "life chapters" including (but not limited to) relationships, childhood, family, work, children and more philosophical questions as well. We use open-ended questions to encourage meaningful answers that can branch off in any direction depending on your life experience. We give you the opportunity to add your own questions if you want to add anything specific. It's your story, told your way, in your own words. We've had people finish their life story in a single sitting. Others love the process and continually refine and expand their answers over many months. It's totally up to you! With your permission, we carry out a standard spelling and grammar check for free. However, if you'd like a more thorough edit of your final book before printing, we can organise this too. Our editing service involves checking spelling and grammar, in addition to taking a close look at how your story is presented. It may involve lightly rewriting or reordering parts of your story to make it easier to understand. 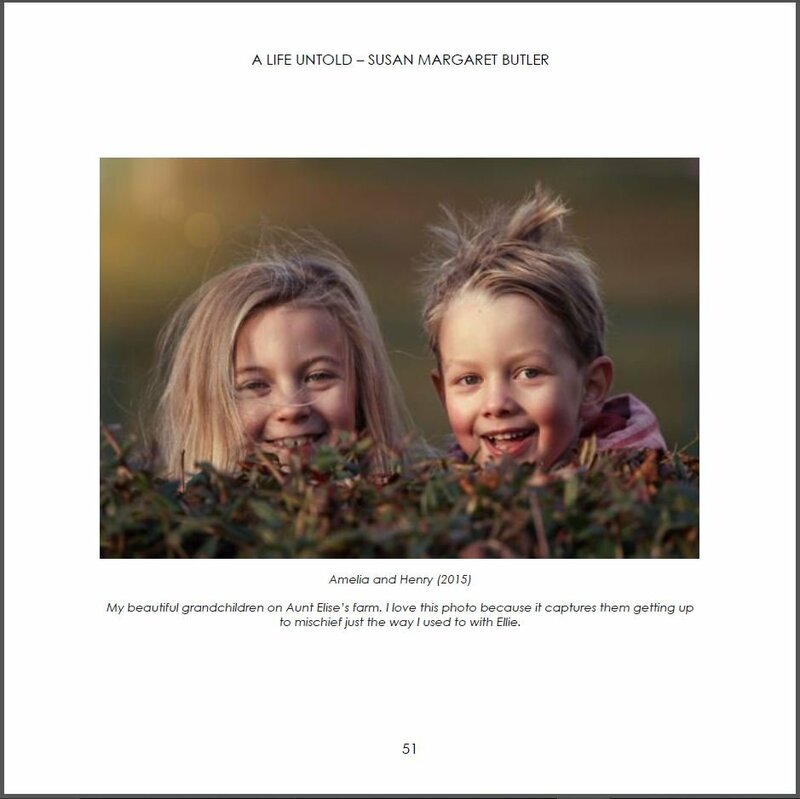 We charge $150 per 10,000 words for our editing service (this is the average length of an A Life Untold book). The final approval of all words before printing will always be in your control. Absolutely. No autobiography is complete without photos. You can upload them in your interview and there are no restrictions on how many you can add. You can also upload colour or black-and-white images. How much does it cost to print additional hardcover books? 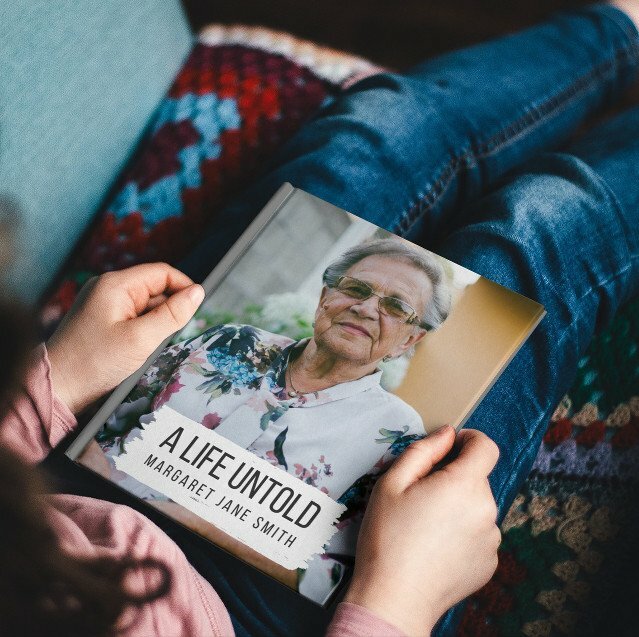 I’d love my friend/family member to write their life story – can you help? Yes! 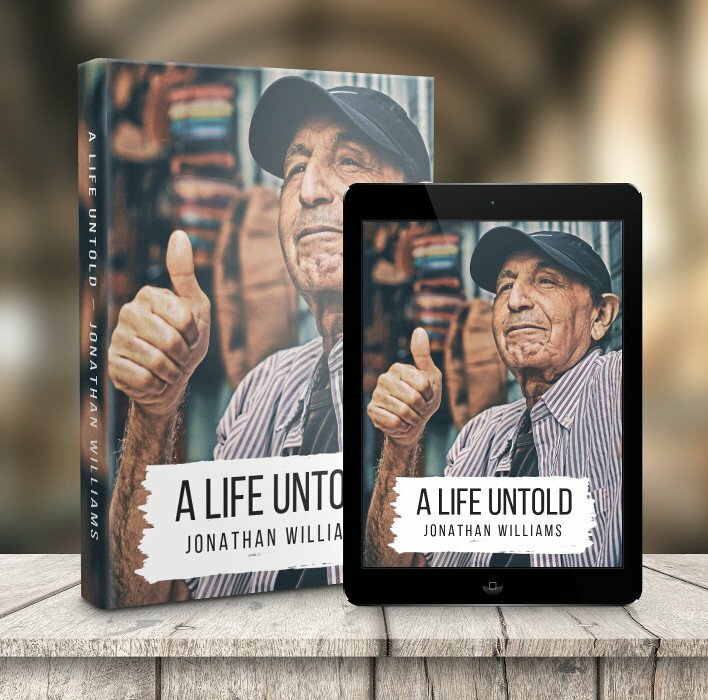 A Life Untold makes a great gift for birthdays, anniversaries or other special milestones. You can find out how it works by clicking here. Please email us at info@alifeuntold.com or reach out on Facebook. Alternatively, feel free to call us on (213) 221 6095 (in the USA) or on (02) 8387 8289 (in Australia). We'd love to hear from you!